Joshua David McKenney was driven to draw ever since his fingers could hold a pencil. His lifelong obsession with women, glamour, and fantasy led him away from his small, conservative Pennsylvania town and to New York City’s Parsons The New School for Design. Joshua landed his first illustration commissions designing T-shirt graphics and fabric prints for the fab fashions of Heatherette. Press attention led to further illustration commissions, including three for Mariah Carey’s Elizabeth Arden fragrances. Mariah also personally commissioned him to create both her holiday and birthday cards. 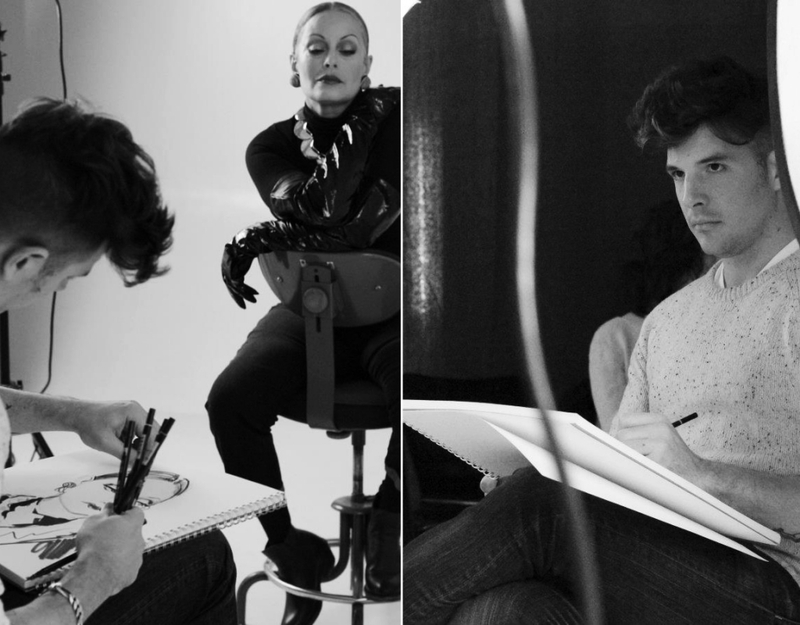 Additionally, Joshua has done illustration work with Dolce and Gabbana, Mattel Inc., Harper Collins, Penguin Group, Saatchi Group, LIV Dolls, Scholastic Books, Elle Girl, Fraulein Kink, OUT Magazine, Linda Farrow, Maybelline, Lime Crime, MAC Cosmetics, Dita Von Tease, Dances Of Vice, The Aesthete, Taylor Swift Wonderstruck, Seventeen Magazine, Girl’s Life Magazine, Fitness Magazine, Innovative Kids, Klutz, Weeki Wachee Springs, and Nylon Magazine. After years of creating two-dimensional art, Joshua also began experimenting with sculpture, mold-making, casting, and eventually porcelain—a progression that naturally led him to dolls, a life-long fascination. The result is Pidgin. A modern take on the classic European fashion doll.